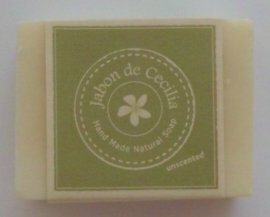 Coconut soap of Jabon de Cecilia is handmade natural soap that made by virgin coconut oil.Since it is additive-free, it is gentle for your skin and also considered environmentally friendly. The basics of skin care are start from face wash. Why don't you try this products making fine skin with high quality soap? 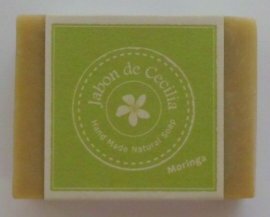 These soaps are produced as fair trade products at the workshop which is founded for support to the women's self-reliance at Cebu Island. Proceeds will be use for salary of workshop's staff, Protect Cebu Island's ocean and nature and Distribution of used clothes and daily necessities to low or no income families. » How do they make? 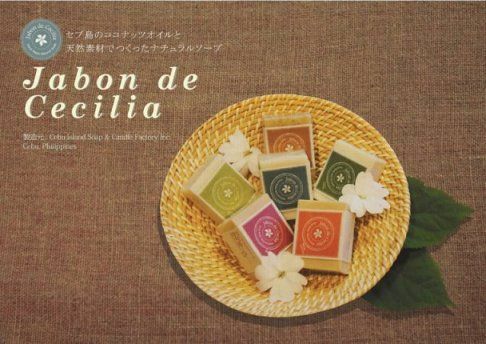 This products are authorized under the Pharmaceutical Affairs Law in Japan as "Toilet soap". All procedure like measuring, blending, molding, cutting and packaging are manually done by Cebuana one by one. That's been very carefully made. Selected natural ingredients have been used that staff satisfied the quality when product testing. 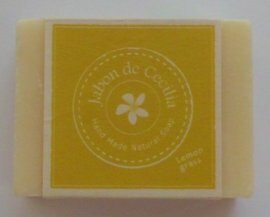 Soap substrate made by natural vegetable oil. No preservative, No synthetic surfactant, No artificial color and fragrance. 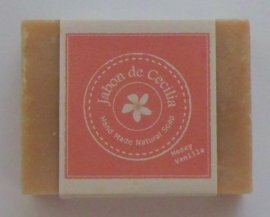 Gentle to skin and environmental friendly. Ideal for face, hair, hands and body. 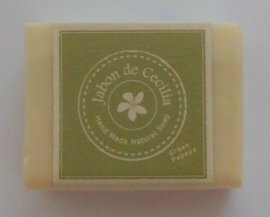 Provided by cold process that mature the soap thoroughly without heat, so it is rich in natural moisturizer, Glycerin. ✽For returned items,money and cancellation of order,see the Notation based on the Specified Commercial Transaction Act. Coconut oil is rich in Lauric acid which is same ingredient as breast milk and Vitamin E.
Natural proteolytic enzyme Papain and Vitamin C which known good for skin truble and Polyphenol in Papaya. Rich in Mineral and Amino acid. Refresh your self with scent of Lemon grass. 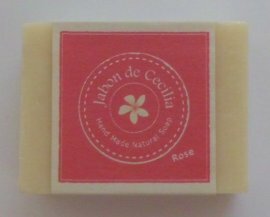 Rose oil known as keep skin soft. This elegant and sweet scent soothes your soul. Moringa has been valued in Ayurveda. Rich in Polyphenol, Vitamins and Minerals. ✽All prodacts are handmade.Please be understanding of the content, size and color of the products is uneven. Precautions : Please use this when your skin is healthy enough and stop to use if product dose not agree with your skin. Please store it in a cool, dark place and use as soon as possible. It is no ploblem to use if temperature and Humidity provide condensation.It will happen because soap is rich in Glycerin.Use well-drained sope dish and avoid moisture to enjoy product long time. They attend trainning and learn the skill before join the process.They will study mechanism of saponification and effects of essential oils little by little. 1.Measure each oils and mix them. 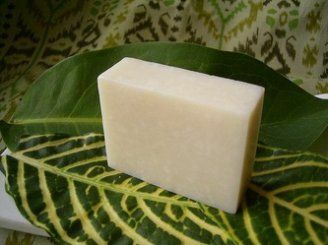 2.Add sodium hydroxide to oil calmly.And mix them around one hour by hand.We use little less sodium hydroxide than ordinaly soap for less irritating the skin. 3.Blend in the essential oils and herbs.Use selected natural oils and herbs as ingredients for the person with sensitive skin. 4.Pour soap requid to the handmade wudden mold and smooth the surface. 5.Remove from mold after 24 hours and cut them. 6.Mature them on shelf about one to two month.This process acn be done without heat to prevent deterioration of active ingredients such as saturated fatty acid from good quality of coconuts oil and soap can containing natural moisturiser,Glycerins. This product is part of the women's independence support program of Cebu Island.The sales proceeds are used as funds for women working in the laboratory, activities to protect the nature of the sea in Cebu Island, funds for clothing and household goods distribution to low-income and non-income families. ✽Interested in local activities, wish to help workshop or want to contact them directly? Check their site.We also accept volunteers or internes to help our work.Share our page with Facebook and retweet our work are always very welcome. We regularly send supplies to people living in garbage collection places in the field. Everyday items that you no longer need at home, especially children and baby toys, summer clothing, footwear, small backpacks, stationery etc are welcome. There is also a shortage of expenses for transporting goods to the site and funds used for purchasing food to be distributed. Please contact directly with the Japanese woman of the soap workshop living in the site from the site and actually doing activities and directly send the supplies and donation to the site. We are updating the images showing the status of activities as we regularly report activity on Facebook. Costs except the product : Postage and Payment of fee. Payment due : Within seven days from order.If payment is not confirmed in this limit,your order will be cancelled automatically . Time of delivery : After confirm your pay,quickly sent the product. Postal Service : Letter Pack Plus by Japan Post.Max.10 pieces for 1 package. Return or Exchange : Return / Exchange is accceped only when you got different product and it is Unused.Call or e-mail co contact. Limit of Return or Exchange : Within 7 days of the product's arrival. Postage of return or exchange : I will expense it only for different product's arrival. Protection of personal information : In case if it is necessary,I will ask customer's detailed personal infomations such as name , address and e-mail.Never expose your infomation for third party.